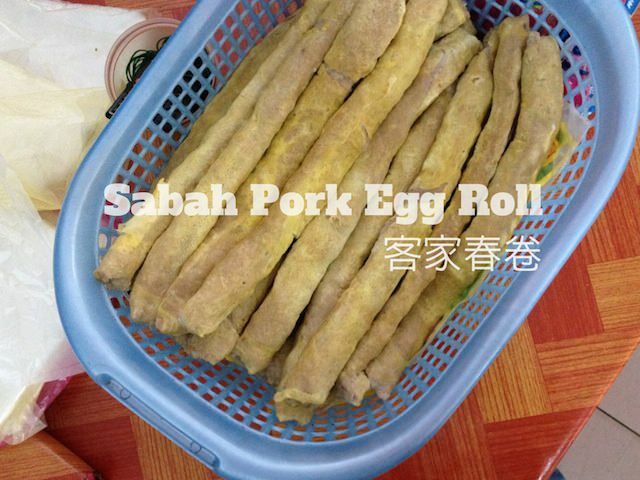 One of the signature foods of Sabah which can only be found in Sabah is Pork Egg rolls. Pork egg rolls are considered one of the traditional foods of Hakka people and the old towns of Tenom and Kudat still produce some of the best pork egg rolls in Sabah. 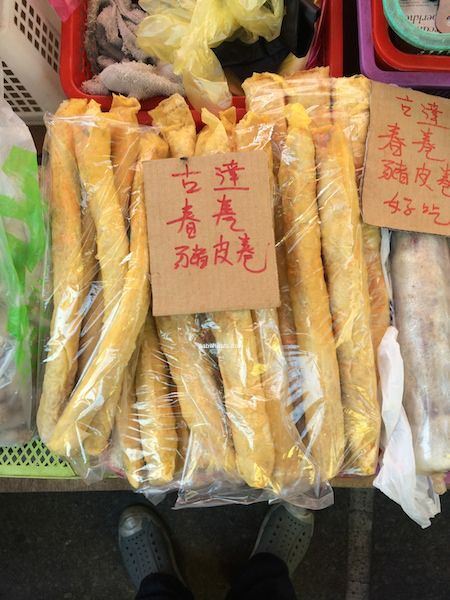 Local Chinese call it “chun kien” (春卷) which literally means egg roll. The egg roll is made using a minced pork meat rolled with a thin slice of egg skin which gives it a nice colour and texture. Sabah Chinese are made up of mostly Hakka. Hakka mostly descended from the Long Chuan and Zhi Jin counties in Heyuan and immigrated to North Borneo (a previous name for Sabah) more than 100 years ago. The influence of Hakka food in the Chinese food is evident at most of the eateries and pork egg rolls are widely used in many foods. Where can you get the best pork egg roll? 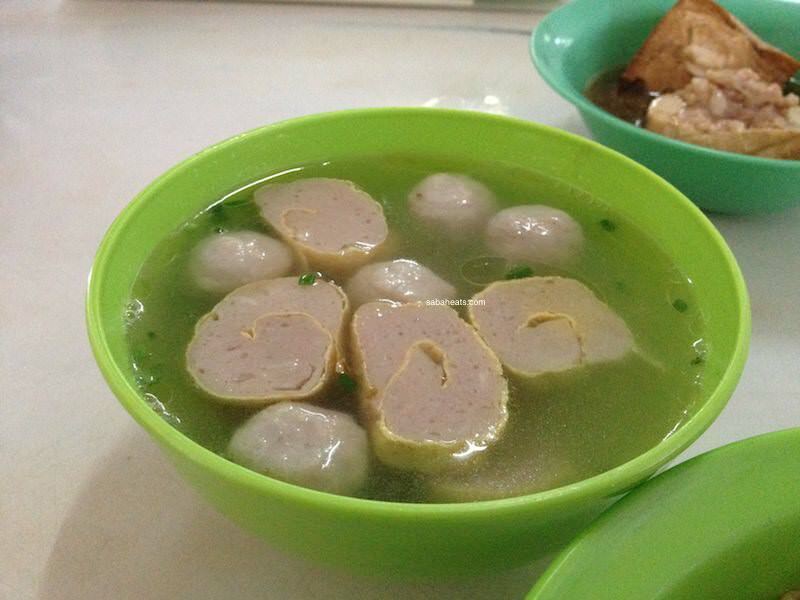 Tenom people swear by their pork egg roll as they use the freshest pork and it is made daily. 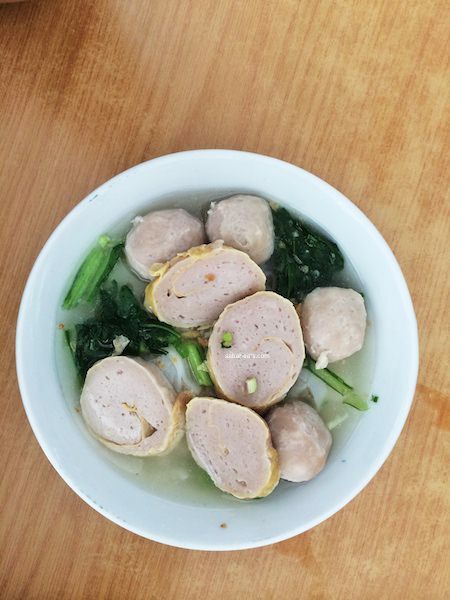 Kudat also makes some tasty and big pork egg rolls but they are usually sold out early in the morning. Where can you get pork egg rolls? There are 3 stalls at the Central Market of Kota Kinabalu selling pork egg rolls. 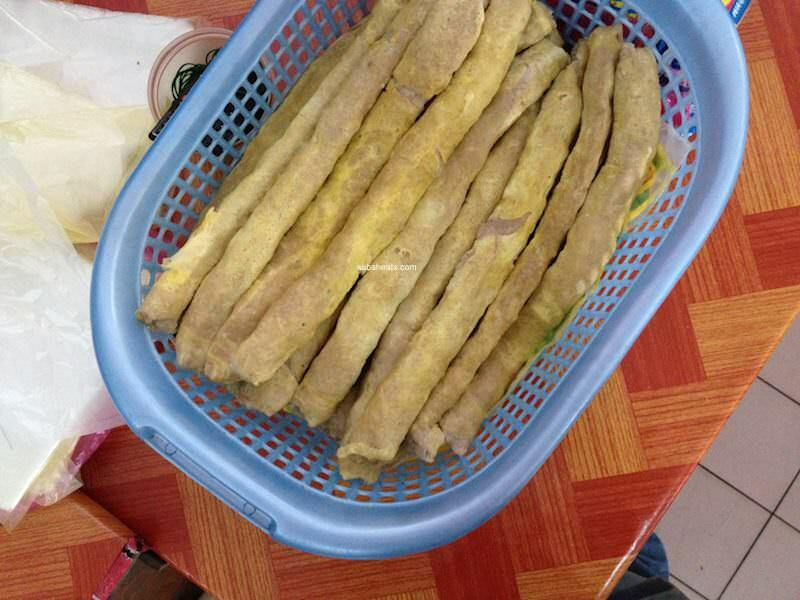 The central market at Tenom and Kudat also sell freshly made pork egg rolls. Which Eateries serve the best pork egg roll? Kota Kinabalu – 河源茶室 Ho Yuan Restaurant at Taman Hiburan, Penampang (behind Cempaka Square) serves big and tasty pork egg rolls. 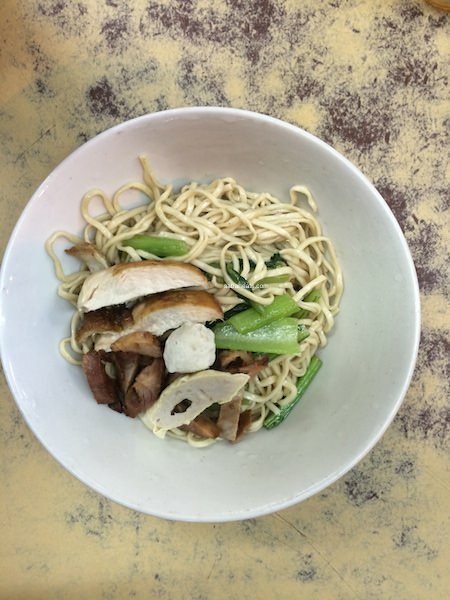 You can choose pork egg roll soup noodles or friend noodles with pork egg roll. Open for breakfast, lunch and dinner sessions. 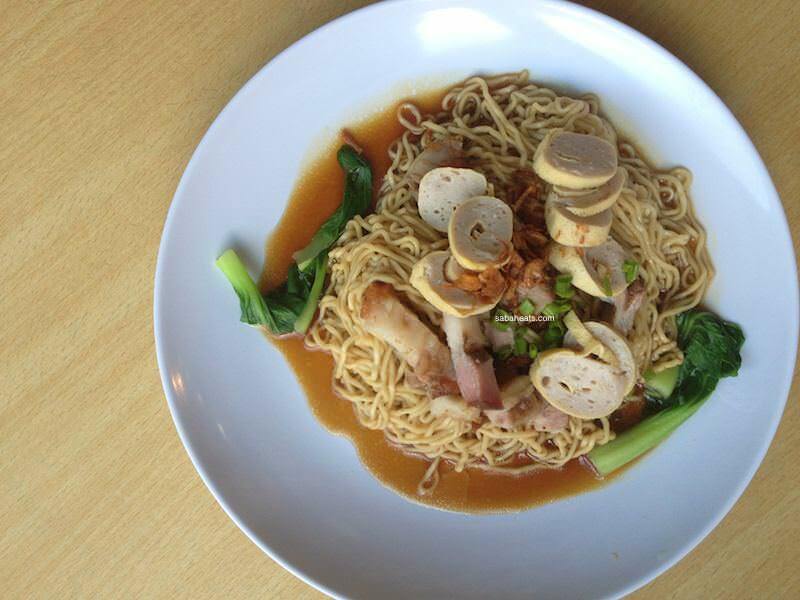 Tenom – The food stalls at the 2nd floor of the Central Market serve delicious pork egg roll soup noodles. Open from the early morning at 6am until 10 am. Where else I can taste pork egg roll? Pork egg roll is usually served with dry stirred and friend noodles. 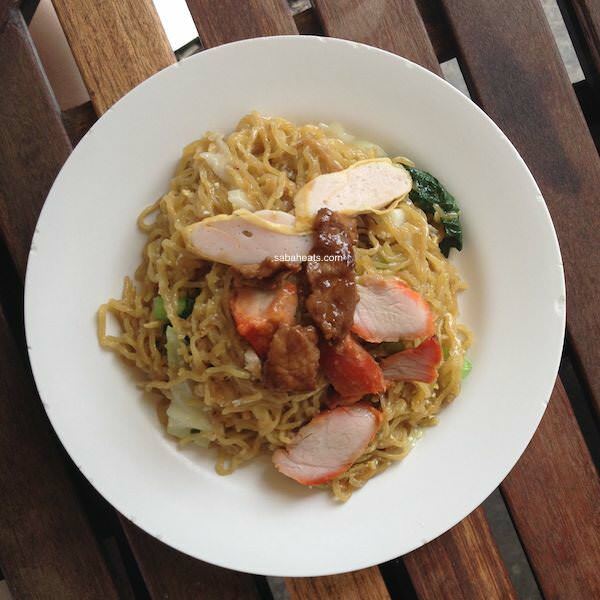 Tuaran Mee is always served with pork egg roll slices on top.